Anna in Indiana | It's About Bunnies! We will be recordingThe LOST Revisited Now for LOST Season 6, Episode 15, early Wednesday morning, starting around 1:15 am EST on Talkshoe. Donald from the Donald is LOST podcast and Matt from the Keys To LOST podcast will be joining us for an Initial Reaction show. This will be the only podcast for this week and the last podcast that Heath and I will be doing together, before the series end. I will update what will be happening for the podcast for Episode 16, in the near future. As well as hosting the 8+ hour Act 2 Bunny Awards/RambleOn (LRNow Episode #105) for Season 6 during the break, Heath and I , along with several LOST podcasters, participated in the AfterLOST podcasts Answers special, where 20 podcasters asked and answered each others “20 Questions”. Along with the hosts Andrew, Ashley and Jeff were podcasters from … The Black Rock, Dharma Dummies, Donald Is LOST, GSPN, Jacob’s Cabin, Jay and Jack, JoshMeister, Keys to LOST, LOSTies with Jed & Cara, LOST Mythos, LOST Revisited Now, Rethinking LOST, The Transmission, and What Katy Said. (Thank you to everyone at AfterLOST for putting it together. It was a lot of fun. 🙂 ). 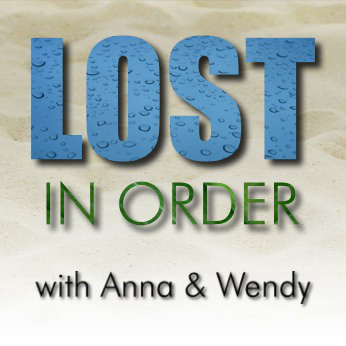 You can check the episodes ( #8 and 9a and 9b), as well as their other LOST episodes at www.afterlostpodcast.blogspot.com. I will be at the GSPN LOST Finale party and will be there along with the delightful Anna from the Jacob’s Cabin podcast . I believe that Cliff and Stephanie will be doing a live feed from the party. At some point , we will be dropping by the LOST Mythos Theorycast. Anna and I will also, most likely, do a podcast together afterward. It is going to be one busy, crazy, sad and happy weekend. Heath and I have been taking part in Donald is LOST’s mytharc series. Donald will continue the series until at least the end of LOST. You can find the most recent episode ” The Podcasters” at click here. I encourage you to go back (and forward to newer episodes 😉 ) to hear the rest of the DIL Mytharc Series. Donald has put together a creative and hilarious “parallel world”, running alongside LOST. Also, Heath has been asking on Twitter for their favorite scene of each episode. You can find him on Twitter @heathactor. If you want to find me, mine is @bunnieslrnow. Found out about these on Twitter from @echobase77 ( i.e. Anna in Indiana ) and they are amazing. They’re videos of various morphs of LOST characters, either from youth to present day or two different characters. Here are a just a few. If you’d like to see more of these LOST character morphs, you can find them posted by kc135tube on youtube under “LOST Morphs”. Donald is Lost: The Donald is Lost season finale. Will Jack succeed in changing the past? Various Lost podcasters come together to either help or hinder Jack, all motivated by their own personal reasons. How will it end, who will live and who will die? Will it matter, whose side are you on? Anna and Denise from Jacob’s Cabin LOST podcast. Heath and Ms Wendy from Lost Revisited Now podcast. Axel from The Lost Mythos podcast. Chris and Brian from The Lost Unlocked podcast. Jed and Cara from The LOSTies with Jed and Cara podcast. Donald, Charlotte and Mikhail from Donald is Lost podcast.